Does Your Agency Need to Be More Agile? You can be meticulous about scoping, researching, and planning for a client project, but that is not going to matter when the completed work is vastly different from what the client wanted. And then what are your options? Start over? Revise? Push forward? Clients value the output of the project. If your visions don't match up, then the project is ultimately a failure. Agencies need to be more flexible and prepared for mid-project changes. They need to test, test, and learn. 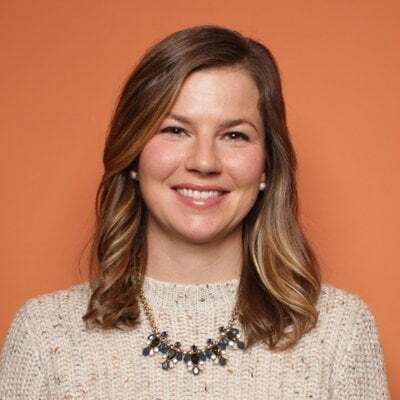 They need to structure their teams and organizations in a way that is more reflective of how modern marketing works: quickly executed campaigns supported by ongoing tactics such as social media, blogging, lead generation, and continual optimization. This is why many firms are taking a page from the developer playbook and are adapting Agile project management methods. Traditionally, product, campaign, and web projects were completed using the waterfall method: Each phases builds upon and is dependent on the previous phase. You complete research, design, develop, test, and then launch a full-functioning, feature-rich website. Each stage can take at least two weeks to complete, and the client doesn't see the final product until it is nearly ready to launch. But this method is based on the idea that during the research phase, we learn everything we need to know. And the initial product requirement list that is created is the perfect list -- it is exactly what we want and it solves the specific problems and needs of our users. Modern marketing is just so much more complex. There are more unknowns and things move and change much more quickly. Scrum is a subset of Agile. It is a framework for learning and developing products, based around short development times -- also known as sprints -- and regular feedback intervals. Teams are self-organized and cross-functional and communicate on a daily basis. Members don't work from a long list of project requirements. Instead, they focus on a main function or problem and work to solve for that with each sprint. By implementing a scrum process for completing projects, the client is able to see and experience his request while it is still in development. Though this, he can more easily understand what is necessary, what he likes and what he doesn't, and how something will actually work when completed. To adopt a more Agile project management process, you first need to understand the three key elements of scrum development. Product Owner: The product owner has the vision for what the final project needs to be. He knows the project or product requirements and makes final decisions on what is included or excluded. The product owner prioritizes the product backlog. Scrum Development Team: The scrum development team is a cross-functional, collaborative group that is responsible for completing the project in each sprint. Scrum Master: The scrum master does not manage the team; he is the facilitator. He makes sure the work is not interrupted by unnecessary distractions, promotes best practices, and creates an environment conducive to productivity. The scrum master makes sure the team is on track to meet its sprint goals. Product Backlog: This is a prioritized list of user stories or feature requests that can be used to define sprints. Sprint: A sprint is when the scrum development team creates a production-ready product for review within a specific timeframe. 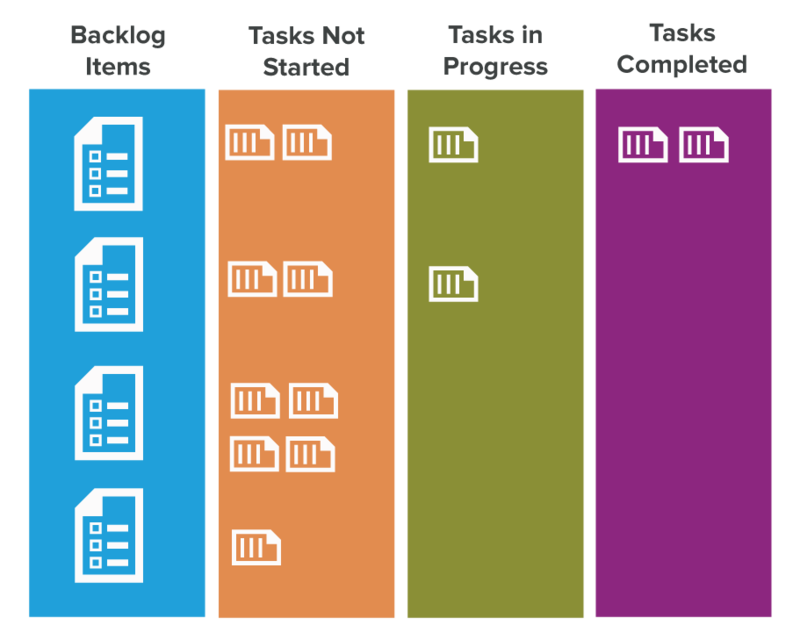 The product backlog determines what the team is working on and the sprint tasks determine how the team will create the final product. 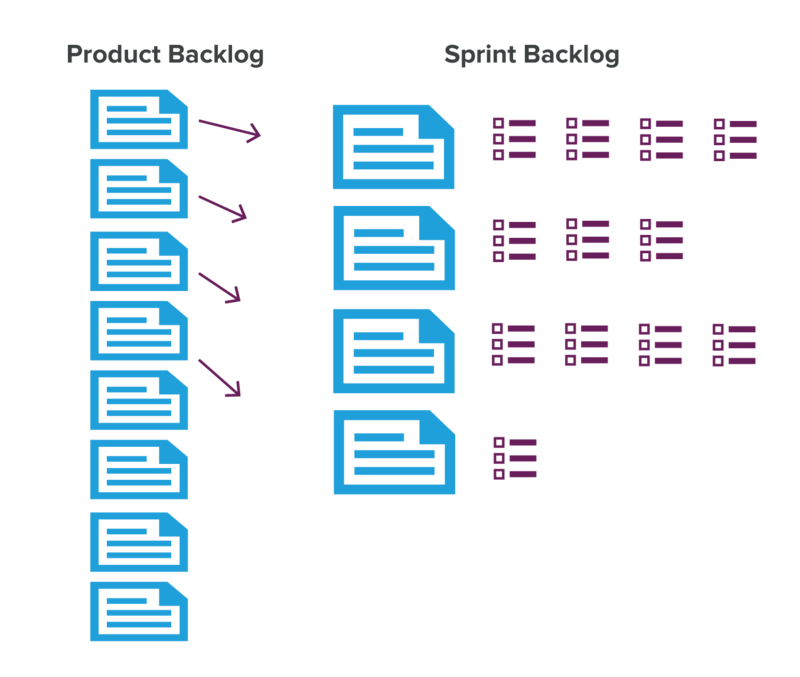 Sprint Backlog: The sprint backlog contains the product backlog items and sprint tasks that need to be completed in a certain timeframe. Sprint Planning Meeting: The product owner and the team discuss which product backlog items will be used in the sprint, and then they break that item into smaller tasks that can be completed in a day or less. The team evaluates the timeframe for the sprint and if the work can be completed. Daily Scrum: This is a 15-minute stand-up meeting where team members update one another on what tasks they completed yesterday and what they will do today. Sprint Review Meeting: In the sprint review meeting, the client and other stakeholders are present, and the product manager presents the product created from the most recent scrum. The teams reviews, provides feedback, and discusses what works and what doesn't. Sprint Retrospective Meeting: This meeting is a chance for the team to provide one another with feedback and to discuss how the sprint went. Members should discuss what went well and what things need to change for the next sprint. Interested in implementing Agile project management in your agency? Learn how Jeff White of Kula Partners made the transition in the video below.